Spark your new year off with a win! The BIG Innovation Awards recognize those organizations and people who bring new ideas to life. Whether that idea is big or small, these ideas change the way we experience the world. Unlike other programs, nominations are judged by recognizable leaders, not editors or writers with limited business experience. 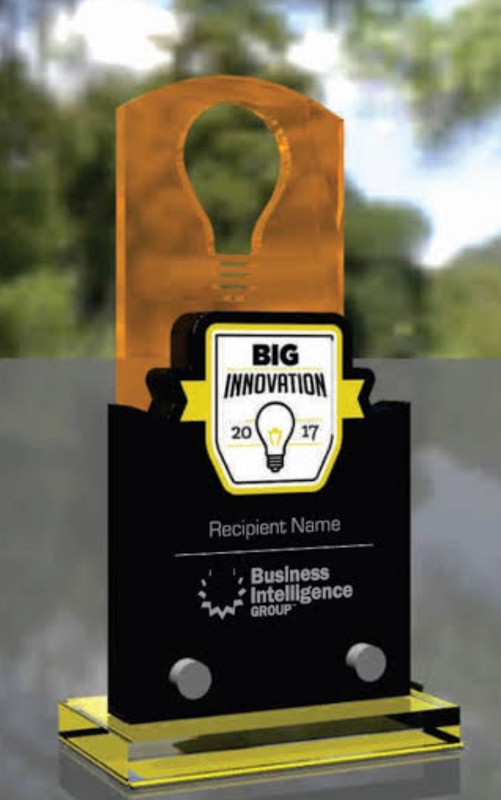 The BIG Innovation Awards recognize every innovation that our judges deem worthy of recognition. Nominations are individually scored by a panel of experts, hand selected by our advisory panel and employees. Nominations for the 2019 program are closed. Nominations for 2020 will be due in Q4 of 2019. Stay up to date and get the 2019 nomination guide now. Awarded to an organization whose culture, products and people are consistently delivering innovative solutions for their community and customers. Awarded to a single product or product line launched or updated in the last 12 months whose innovative approach or product has caused market or customer disruption. Awarded to an executive or organizational leader whose skills or management style have led to the delivery of innovative solutions for a given community.